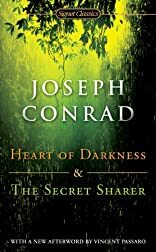 In this pair of literary voyages into the inner self, Joseph Conrad has written two of the most chilling, disturbing, and noteworthy pieces of fiction of the twentieth century. @JungleFever Heading down to Africa on a boat. Too hot! I get the creeping sense this job isn't going to be as cushy as they made it sound. The natives seem unhappy. Some are even violent! Why don't they appreciate how much we've done for them? Ungrateful welfare leeches, I say! About Vince Passaro (Afterword) : Vince Passaro is credited in . 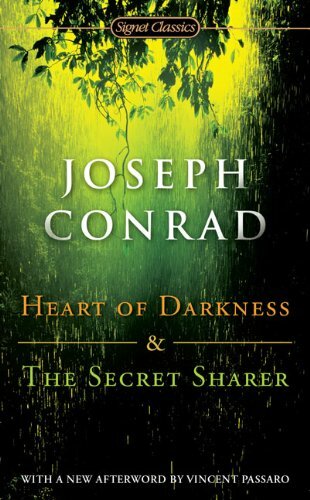 A published credit of Vince Passaro is Heart of Darkness and The Secret Sharer (Signet Classics).